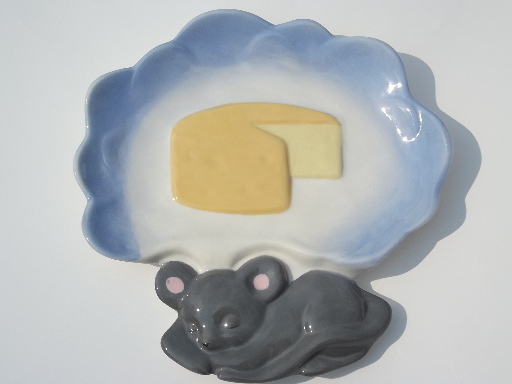 Retro ceramic cheese trays, set of plates w/ a mouse dreaming of cheese! 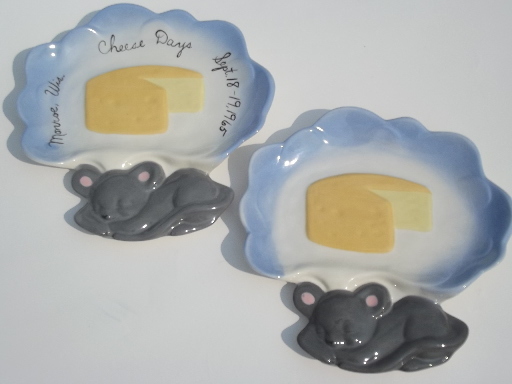 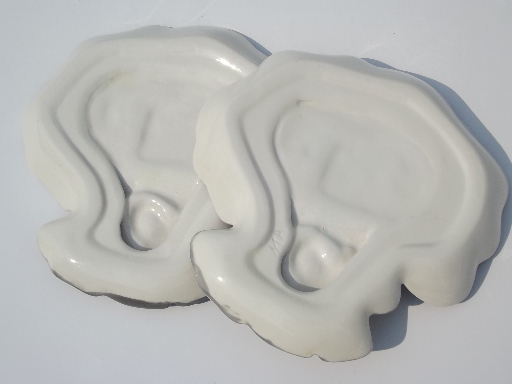 Two ceramic cheese plates with a little grey mouse dreaming of cheese - these are both in very good condition, and so cute! 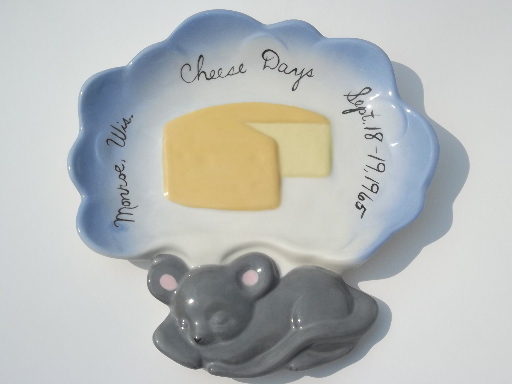 One plate is marked for the 1965 Cheese Days in Monroe, Wisconsin. 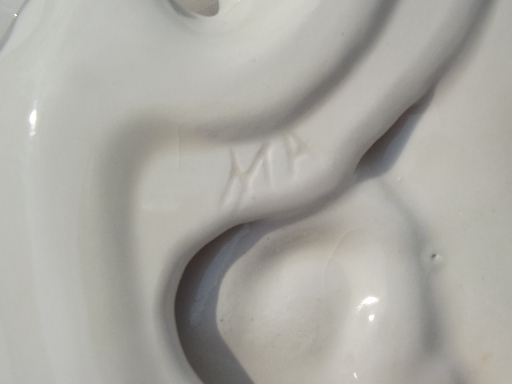 The other is not marked.